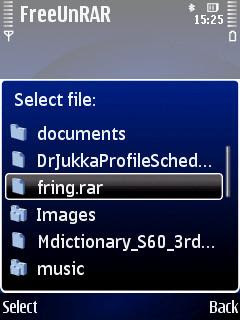 Free UnRAR is an application that you can use on your series 60 v3 mobile phones to unrar-unpack the .rar archive files. 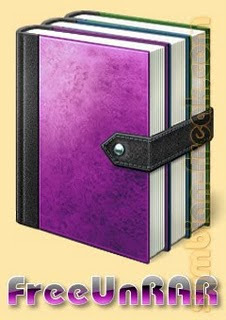 Downloaded a .rar archive on your phone and looking for a way to open it? FreeUnRAR extracts it for you. FreeUnRAR doesn't make .rar archives, it only unpacks them. There is no software to make .rar archives on your phone yet. New Nokia phones have a built-in zip extractor and creator. For older phones there are a couple of Symbian programs to make .zip files.